I really wanted to put a smiley face and some exclamation marks after that title, but thought I'd try and at least attempt professionalism.That's because Evan Dorkin has confirmed via his blog that he will be penning more of his Jill Thompson illustrated, quite simply excellent, Beasts of Burden stories next year. My friend and I went into a comic store earlier on in the year and he asked the clerk for a recommendations. The clerk started telling him about this book featuring a Scooby Doo gang but with animals who investigate supernatural going ons and I began to zone out because honestly, it all sounded a bit fluffy to me. And then he pulled out Beasts of Burden and we spent a few minutes congratulating one another on our mutual great taste. To be fair, it's an accurate description, but it does a vast injustice to Dorkin's stories: the characterisation, humour, poignancy and sheer heart-twisty-ness he manages to achieve. Dark Horse have 39 pages of the original mini-series up to read for free here , which includes three stories: Stray, The Unfamiliar and Let Sleeping Dogs Lie, which were collected into the first hardback, Animal Rites. Click through to the link- I'm pretty sure you won't be disappointed. 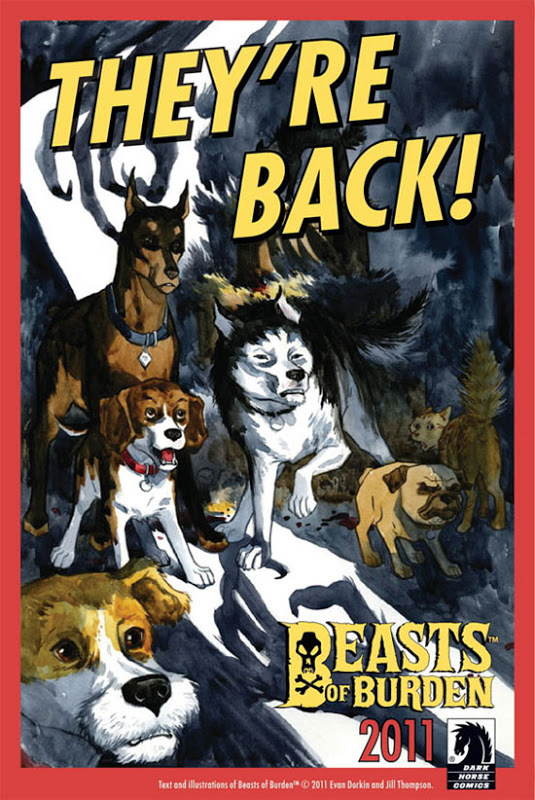 Although we didn't make a formal announcement, during the Dark Horse Comics horror panel we mentioned that Jill Thompson and I are working on a second Beasts of Burden mini-series. It'll be four issues, two of which I've written (one of which I co-wrote with Sarah). 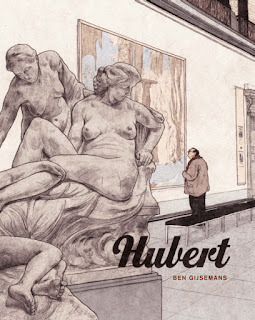 When we're finally done with it all the second series will cap a second hardcover collection, along with the Hellboy crossover and the Neighborhood Watch stories from Dark Horse Presents. As far as a schedule for the new series, I guess "sometime in 2013" is about all I can cough up. Anyway, at least it's underway, finally, and I'm glad we can start talking about it. Although I guess that's all there is to say right now.